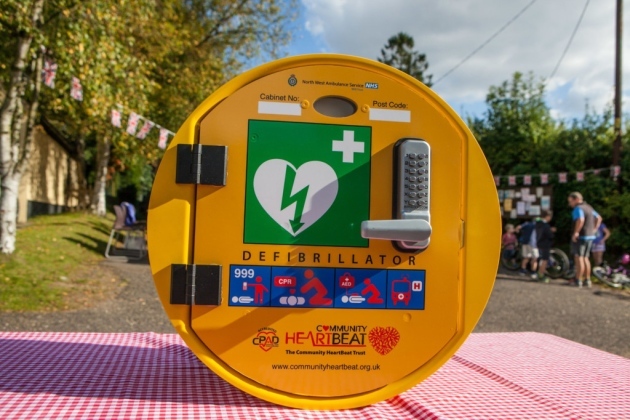 We asses defibrillators based on their suitability for community use and a similar classification is used for the cabinets. Those passing the tests are given the ‘ShockBox’ marque as a signal of quality, safety and suitability for community use. Put simply they are quality, ISO rated and have to meet international quality standards. Click or tap below to view. They have been tested by CHT to be declared fit for purpose. Paint is UV stabilised, and will not degrade in sunlight. Door seals are ISO rated and have not been painted over, or otherwise compromised. They have low levels of condensation. If heated, the heater is appropriate for the task and will not cause overheating thermal yo-yo’ing, dangerous ‘hotspots’ and other items that may cause damage to the equipment, or overheat the external wall of the cabinet. They are certified as being IP65 in their end-user state. i.e they are water, dust and insect resistant in the condition they will be used (not in the factory). functionality, structure, anti-rust, and IP rating cannot be guaranteed. Where locked, the locks are of a high standard made from stainless steel – we avoid electronic and aluminium locks, or those designed for indoor use, due to the potential to malfunction. They carry instructions in ICON format and have features that allow panicking, dyslexic, or non-English speakers to open. They are highly visible traffic yellow, meeting highways regulations. They come with multi-year warranties against failure. They are backed by a support service from the manufacturer. Cabinets do fail, and as these contain medical devices, need urgent attention to rectify. They are designed for purpose, not just adapted from other uses, with the word "Defibrillator" printed on.